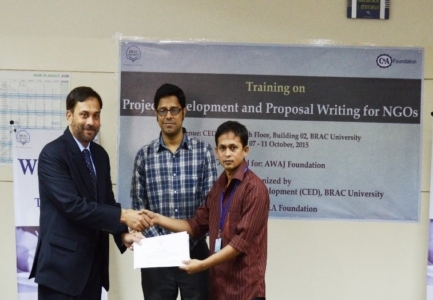 CED has organized a 5-day long capacity building and/or training program titled on “Project Development and Proposal Writing for NGOs” from October 7-11, 2015 at CED office for the personnel of AWAJ Foundation. This program was organized under the project titled “Enhancing Organizational Capacity of AWAJ Foundation through Developing Effective Managerial Skills” funded by the C&A Foundation. 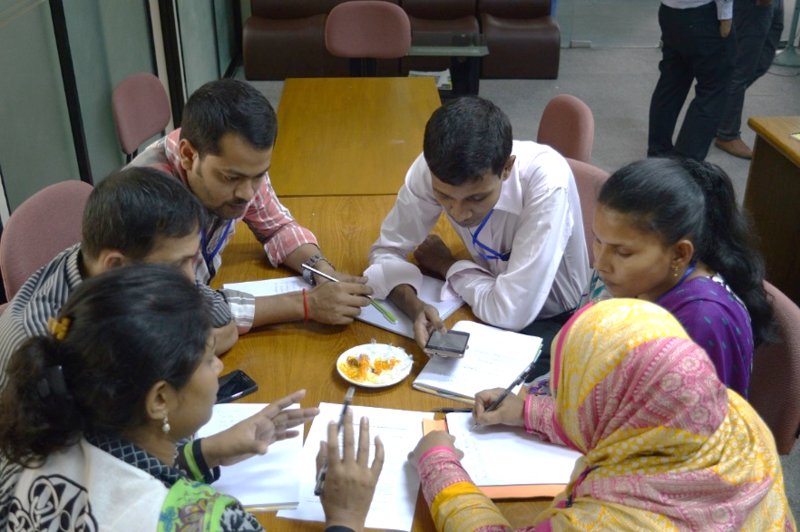 The facilitators of the training were Mr. Abdulla Al Mamun (Program Coordinator, Manuser Jonno Foundation), Mr. Rayhan Miah (Research Associate, CED), and Imtiaj Uddin Ahmed (Program Officer, CED). 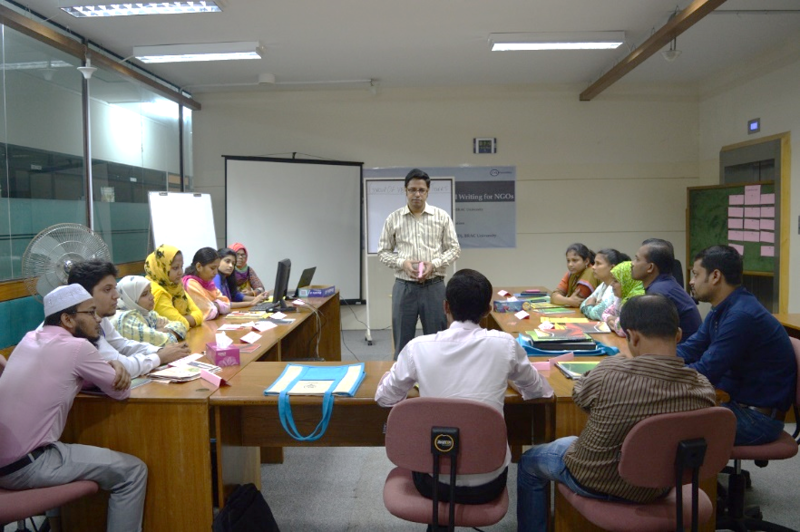 This training program was coordinated by Afshana Choudhury (Program Manager, CED).